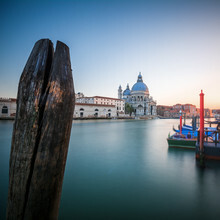 Venice is a marvellous place from a past millennium with many different characters from the happy unburdened carnival to a morbid severity in the winter. The city is nearly always crowded by tourists, but there are still place and daytimes to experience the true spirit of the city on your own. 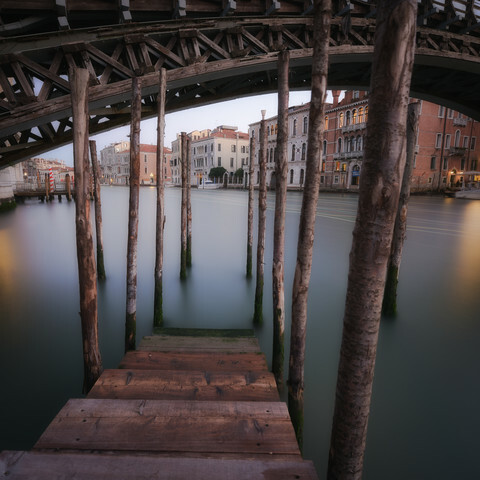 The best time of the day is before and early after sunrise, but visiting place like this gangplank directly benath the famous Ponte dell'Accademia at the Canal Grande is one of my favorites places and a very underestimated too.